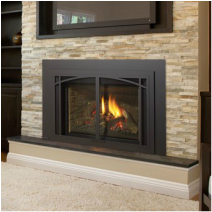 Gas Stoves, Fireplaces and Fireplace Inserts are available in Direct Vent or Vent Free with a large selection of options. ﻿A gas stove can create a warm gathering place that is clean and modern or timeless and traditional. 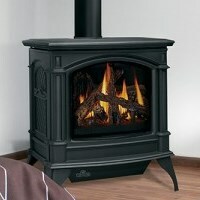 Gas Stoves have the ambiance of a freestanding wood stove but offer the convenience of gas. Elegant design and enduring quality are the hallmarks of a quality Traditional or Contemporary Direct Vent Gas Fireplace. Realistic full fires and a multitude of customizing options allow you to match design elements on your fireplace to your home. No more drafty fireplaces! Save money by turning down your furnace and zone heating with a gas insert. Enjoy consistent, controllable heat even during power outages. Add value and efficiency to your home with a gas insert. We highly recommend Turza Construction for all Stove, Fireplace and Fireplace Insert installations, as well as any other work you may need done in your home! !